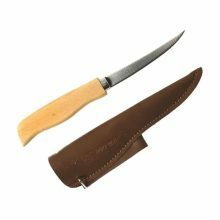 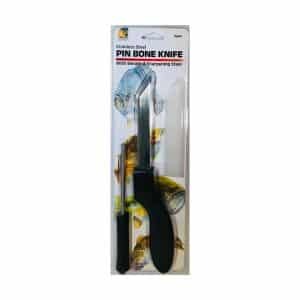 Stainless Steel pin bone knife with sheath and sharpening tool. 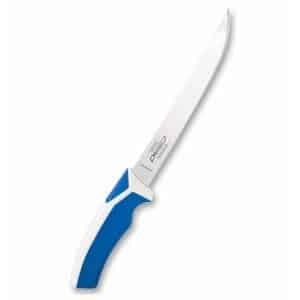 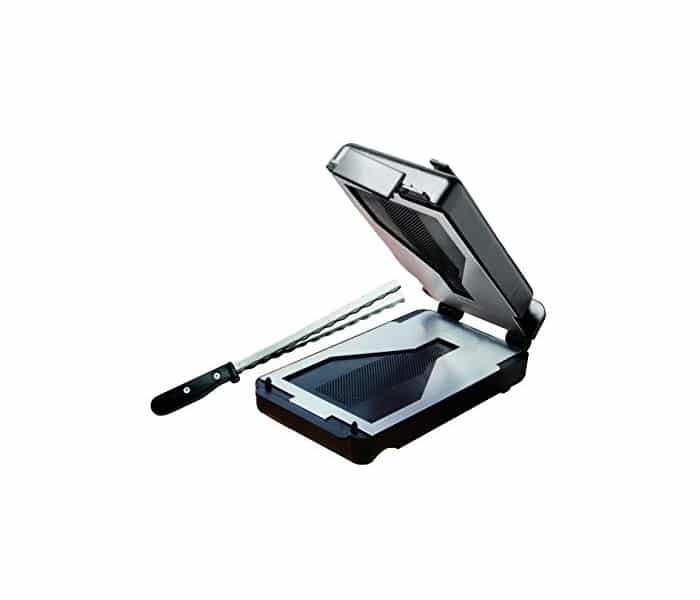 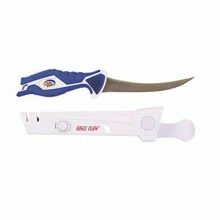 Stainless steel 6 inch or 8 inch blade, white and blue slip-resistant thermoplastic rubber (TPR) grip, customized sheath, built in sharpeners, magnet in handle. 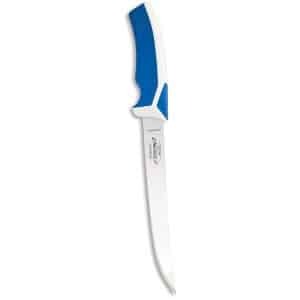 The Redbone Performance Bait Knife is perfect for preparing bait and performing other boat side tasks. 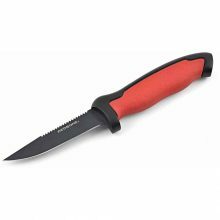 The soft grip TPR handle allows for comfortable handling. 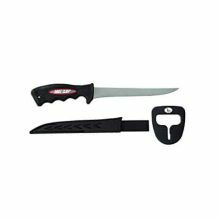 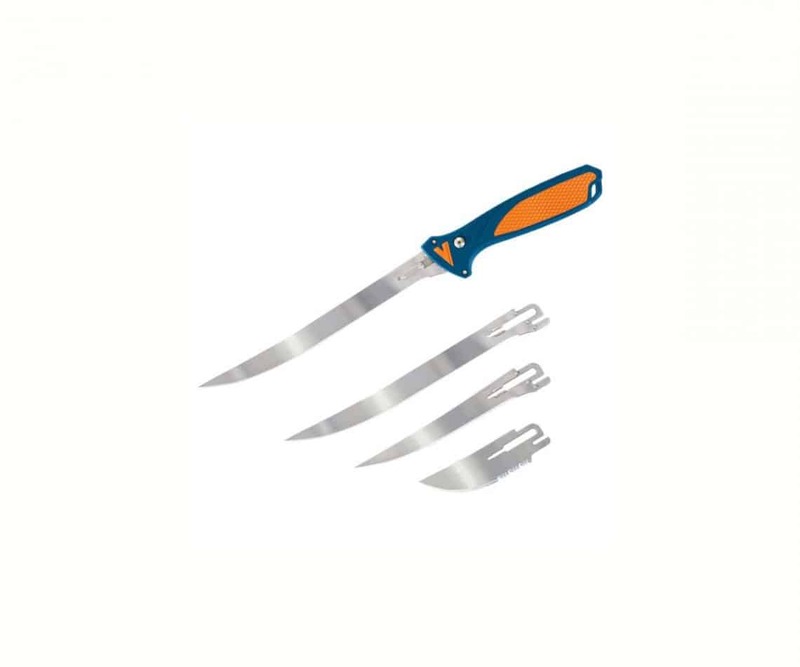 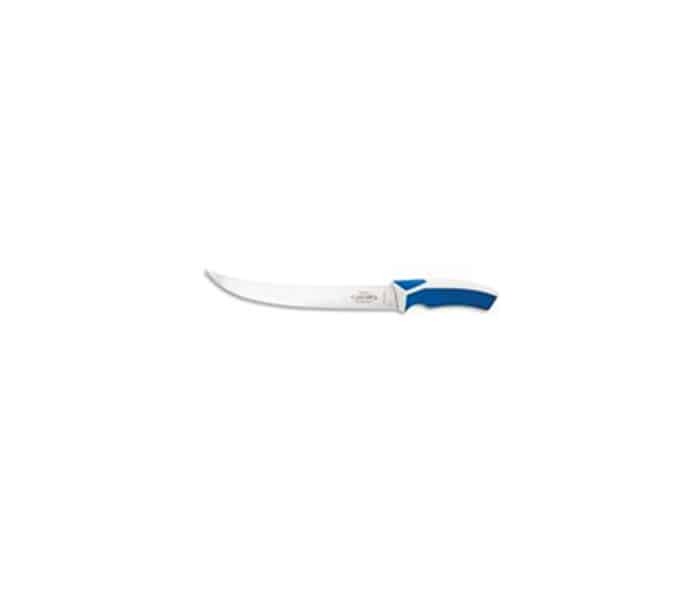 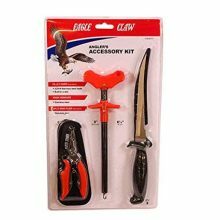 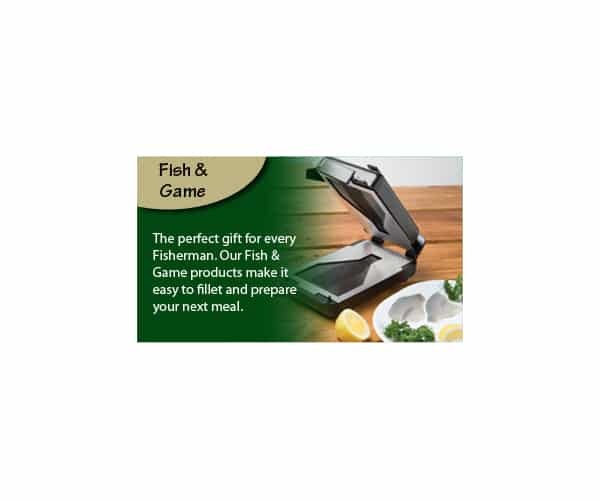 Features a serrated top edge that allows for cutting through bones and a coated-coated 420 stainless steel blade.